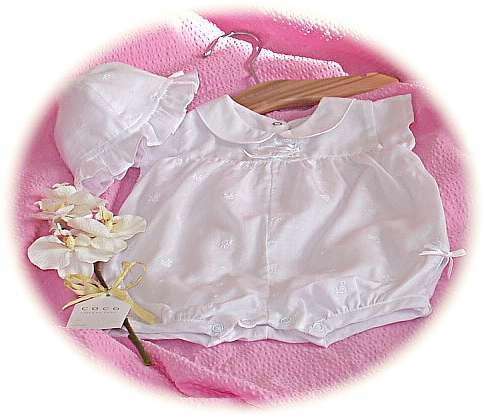 A dainty little romper suit in white, really soft, pure cotton. 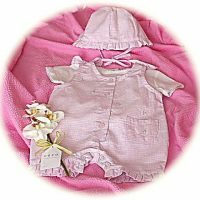 The baby girl’s cotton romper is embroidered with tiny flower buds and trimmed with satin ribbons. 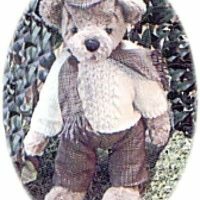 The fully lined romper comes with a matching hat.